EFT for Christians Advanced: Change Your Feelings, Change Your Life, demonstrates in greater detail the different ways and techniques that Christians can use EFT to allow God to heal many areas of life, including our emotional, spiritual, our physical and mental parts. Sherrie Rice Smith’s books, EFT for Christians Advanced: Change Your Feelings, Change Your Life and EFT for Christians, Tapping into God’s Peace and Joy teach readers how Emotional Freedom Techniques can be used as a tool for healing and why Christians should use tapping as a tool to become more Christlike here on earth. With the Holy Spirit’s help, EFT can aid us to overcome sin and bad habits that can impede our Christian journey. EFT for Christians Advanced: Change Your Feelings, Change Your Life, demonstrates in greater detail the different ways and techniques that Christians can use EFT to allow God to heal many areas of life, including our emotional, spiritual, our physical and mental parts. EFT now has more than 100 scientific studies backing its efficaciousness. And it appears to work quite well on a multitude of issues. The EFT for Christians books motivate and encourage Christians to combine their spiritual practices and Christian worldview with the tapping techniques themselves. It is a powerful combination. Drawing God closer and deeper into our lives. This is an amazing book. It is taking me into new levels of healing. Being a visual person, the tapping visualizations are oh!, so insightful. This book offered me such needed information to help me be effective in praying and tapping for myself and others. I like to think of my books as gems. This one is a gem of high quality! Sherrie brilliantly weaves together science and scripture in a journey of healing and grace. You learn how to use EFT and “Christian EFT” to heal the root causes of stress and trauma. 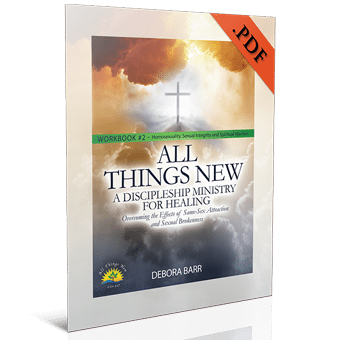 The practical steps and case studies allow you to glean from the best of Western medicine while trusting wholeheartedly in God’s timing. 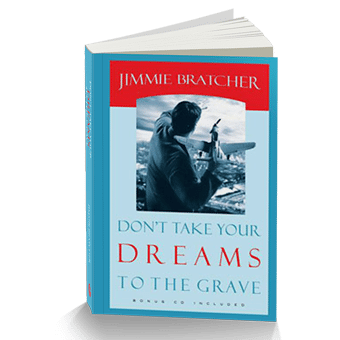 You will close this book with so many nuggets of wisdom, and new tools to empower your mental, emotional and spiritual healing. I love all of Sherrie’s EFT for Christians books! This book is filled with scripture and stories from real people, and there is a lot of new information and helpful principles. I love all of Sherrie’s EFT for Christians books! Her most recent work builds beautifully on the foundation she’s laid in previous books. Tapping is a gift from God and it’s so refreshing to see these God-given techniques taught from a biblical perspective. Filled with science, scripture and stories from real people, there is a lot of new information and helpful principles to glean from this latest installment. For those that really want to get to the other side of their emotional issues, Allowing God to Change Your Feelings and Change Your Life will walk you through how to do just that. I found this book very helpful with the several examples and appropriate scriptures for applying EFT to my personal struggles. EFT helps us work with the body and brain, moving stuck emotions and feelings out of the way so that we can receive from God so much quicker and easier. This book has helped transform my prayer life and truly allowed God to change my life! 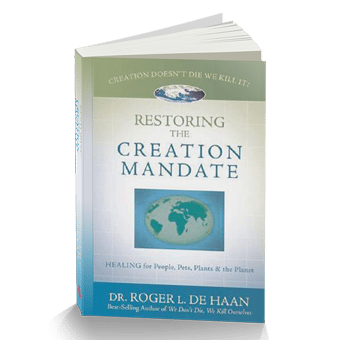 We, as humans, were designed and given the Grace of co-creator of our lives by Almighty God. He created us in love, and continues to love us, despite ourselves, despite the many choices we make that may not turn out favorable for us or others in our lives. In all ways He is there … patiently waiting for us to make the choice to be who He created us to be. To make the choice to take action of healing, to be open to His healing, no matter the situation. 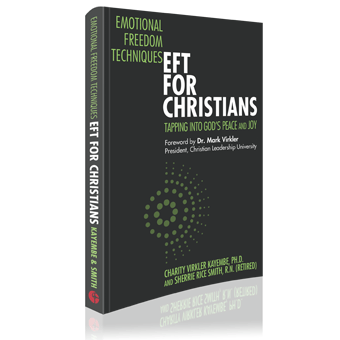 EFT for Christians is an action that works with the action of our being. In the latest of her “EFT for Christians” series, Sherrie Rice Smith continues to use the Words of God, from Holy Spirit inspired Scripture, to give us a further in-depth understanding of the wonder of God’s EFT technique for healing the mind-body-spirit. This book will deepen your knowledge of Christian EFT, and most importantly how to use it to experience the Mighty Healing Power of God, no matter what/how He chooses to heal, through His tool of EFT. This healing ultimately leads to a clearer understanding of self and the Gift He has created you to be! In sharing the work of the Holy Spirit in her experience of EFT, Sherrie exemplifies the compassion of Christ and His deep connection to us. The examples shared by other practitioners show us we are not alone in our feelings of brokenness, and we will not be alone in our joy of healing!!!! 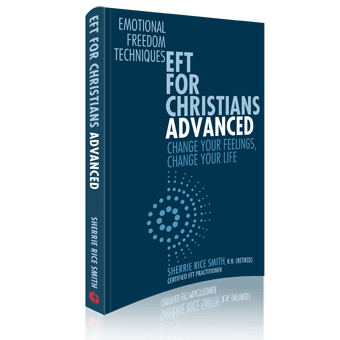 EFT For Christians Advanced is a continued Blessing to those who wish to receive it! I believe EFT for Christians is a breakthrough technique that helps Christians get over their limiting beliefs. Sherrie’s books are changing the face of EFT; it is no longer just a new age technique but a prayer in the power and guidance of the Holy Spirit. It is a beneficial combination of prayer and tapping that releases buried hurts and traumas where prayer alone perhaps has not been able to achieve the desired breakthrough. God is glorified as we are freed to live as He has purposed. I for one, am thankful for Sherrie’s work and dedication to the Lord.